Million-dollar views and a fabulous location make this wonderful oceanfront condo a stand out! You will be mesmerized by the breathtaking, panoramic views of the ocean & Kure Beach Pier from this luxury property, and the location can't be beat: only steps to the beach; 1 block to downtown Kure Beach restaurants, the Pier, & the Oceanfront Park; and out of a flood zone! This stunning oceanfront property has views from every room and boasts almost 500 sf of oceanfront porch/deck space! Lavish appointments include granite countertops, stainless appliances, & walk-in pantry in the gourmet kitchen, hardwood floors with mahogany inlay in the main living area, and walls of windows, bringing the outdoors in. The spacious master suite on the top level has a private oceanfront deck & en-suite bathwith tile/glass shower, separate jetted tub, and large walk-in closet. The guest bedroom also boasts amazing ocean views and has its own private bath with tile and glass shower. On the ground level is a welcoming entryway, laundry closet, and oversized 1-car garage. Additional amenities include newer HVAC (2015), new carpet in the bedrooms, interior sprinkler system, recently updated porch railings, a new wind-resistant, vinyl garage door, keyless entry locks, and extra on-site parking. 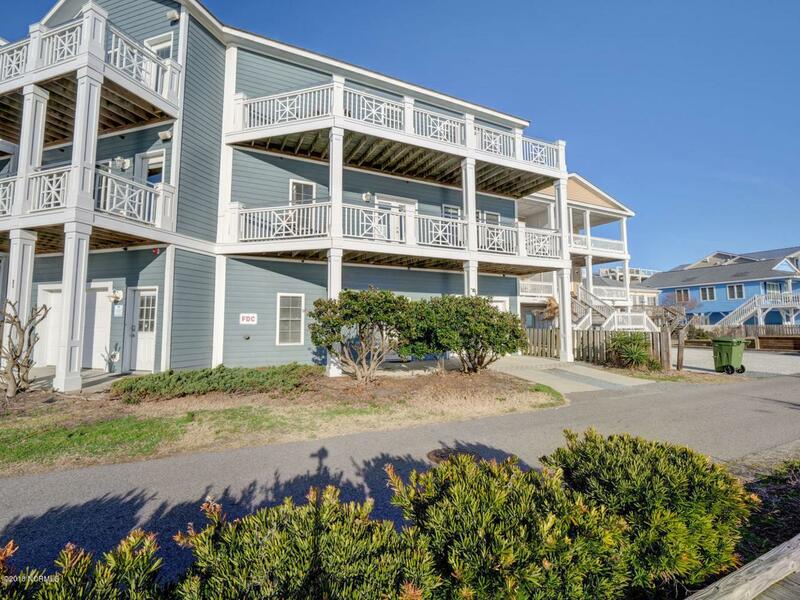 The Kure Beach Villas complex offers a community pool and outdoor shower. Such a unique property, due to its location, design, amenities, and price"truly nothing else compares! Currently on an established rental program with a strong rental history, but would also be a fabulous primary or 2nd home. Welcome to the perfect Beach Retreat! Listing provided courtesy of Alicia Devereaux of Intracoastal Realty Corp.